Eminent and world renowned scientist Dr. G.D. Agrawal, India’s leading expert on environmental pollution, has entered the 106th day of his fast to persuade the Government of India to save the Ganga.The 86 year old academic turned activist and swami, unable to persuade the powers that be through traditional means, took the extreme step in June of this year. The glacier fed river, which is worshipped by hundreds of millions of Indians and an important water body for much of North India, is in peril. For years it has been pillaged and raped by dams and barrages for irrigation, power generation, household use and industrial supplies. Illegally constructed hotels and factories located along its banks violate it with untreated sewage and toxic chemicals. 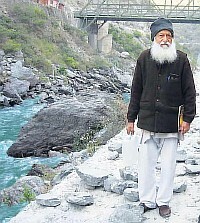 Dr Agrawal, also known as Swami Sanand, is perhaps the Ganga’s last hope. After many years of pleading, negotiating and pressurizing the government in the vain hope of reaching some acceptable agreement, Dr Agrawal began his fast on June 22nd of this year. Now surviving on only three glasses of water a day, he intends to give up drinking water from October 9, the first day of the Navratras. 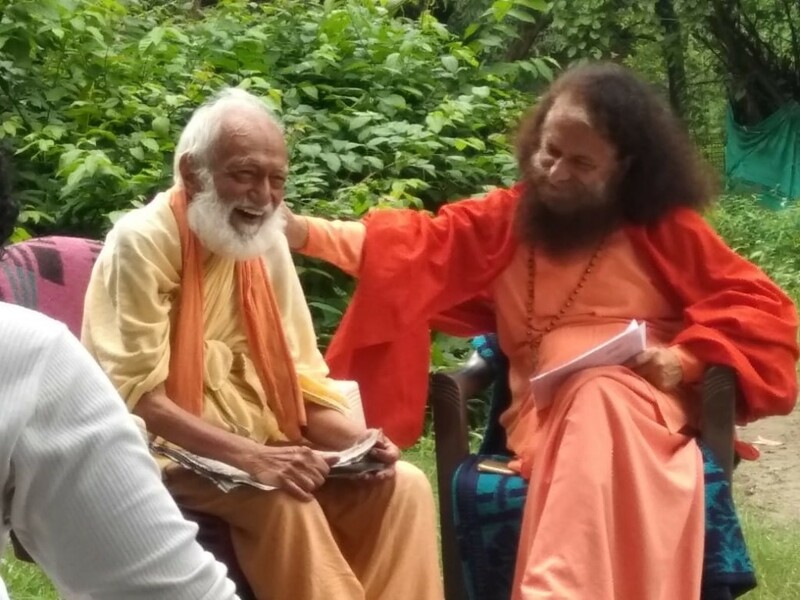 This is not the Swami’s first fast for the Ganga. Earlier efforts convinced the government to initiate remedial action for its conservation but these were short-lived and not extensive enough. 3. Ban river bed sand mining in the main stem of the Ganga, particularly the Haridwar Kumbh Mela area. 4. 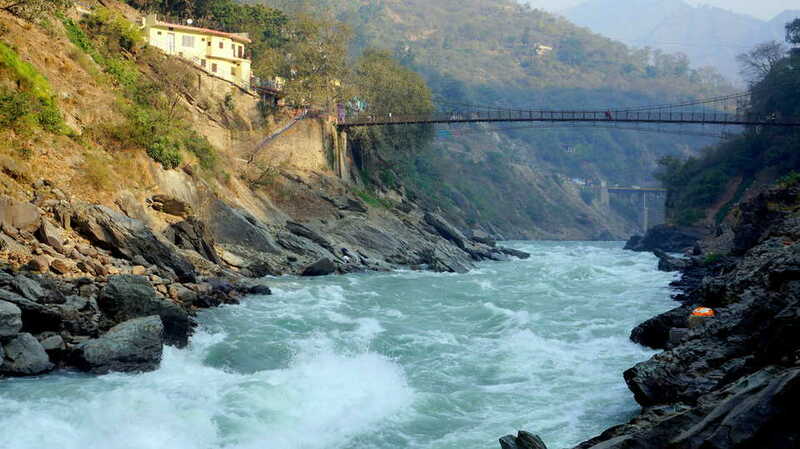 Form an autonomous body of committed persons capable of managing and ensuring the well-being of the river. Recognizing that there is limited time left for negotiations now, Swami Sanand recently sought a written assurance from the Prime Minister that a satisfactory Bill will be presented in the winter session of Parliament and that pending its enactment, all construction projects currently underway – all dams in the upper reaches and the National Shipping Waterway in the lower reach — be suspended. The Prime Minister has not responded to Dr Agrawal’s latest ultimatum. The Government has so far refused to set up an autonomous body which would mean sharing its control of the river with non-political citizens. Neither is it willing to suspend any construction until the Bill is adopted. Swami Sanand has therefore resolved to sacrifice his life, in the hope that it will awaken the conscience of the Government of India and the people of India. & wish healthy long life. 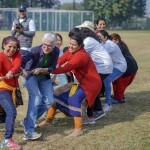 नदियाँ जीवित रहेंगी तो हम रहेंगे…. It is very shameful that those at the helm refuse to listen to the voice of reason because it is from a non-political person. If politicians listen to politicians only, the Country would go to dogs. Let’s pray and request Swami Sanand to give up his fast as his life is far more valuable.